Want to live in a fun and hip location that’s affordable, has a good job market, plenty of family entertainment, and beautiful homes? Try Raleigh, North Carolina! 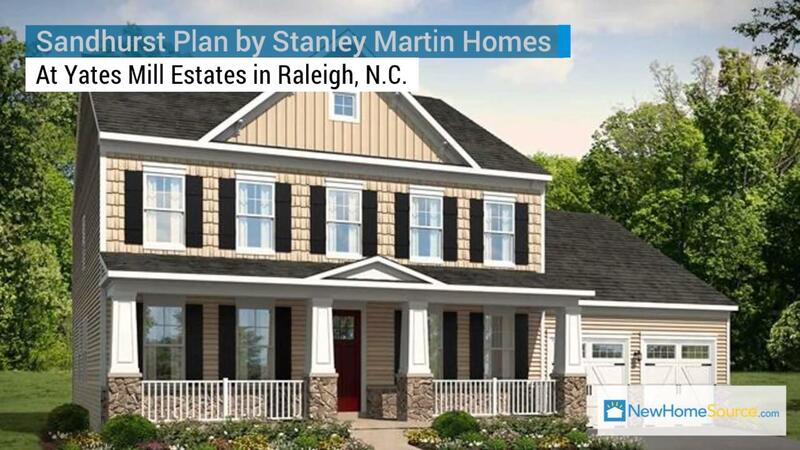 A great example of the gorgeous home options in Raleigh is the Sandhurst plan by Stanley Martin Homes at Yates Mill Estates. The four-bedroom, two-and-a-half-bath home has all the entertaining features you’d want and more. An open-concept foyer-living room-den layout gives guests space to breathe, but also a quick glimpse of what the rest of this home has to offer. A butler pantry is neatly hidden in the dining room, so good drinks are always close by. The kitchen island in this model home is sure to be a favorite, as it’s a large island-table that allows for so much work, dine and hang out space for family and friends. The upper level of the home is where the bedrooms are located, providing a tranquil floor for all residents to find rest. A spacious master suite includes a spa-like bath and walk-in closet. For convenience, a laundry room located on this level means no more lugging laundry up and down stairs. What is it Like to Live in Yates Mill Estates? Yates Mill Estates is a small community of 57 homes, which creates a close-knit community where you can grow old with neighbors. Close to downtown Raleigh and other local attractions, you’re never too far from the excitement that the Triangle has to offer. The community is surrounded by established communities, making it convenient to shopping, dining and entertainment, too. Want to see more photos of this beautiful home? You can learn more about the Sandhurst Plan, the Yates Mill Estates community where it’s located, and see more homes by Stanley Martin Homes on NewHomeSource.